The Crim Dell is a small pond located between old and new campus. 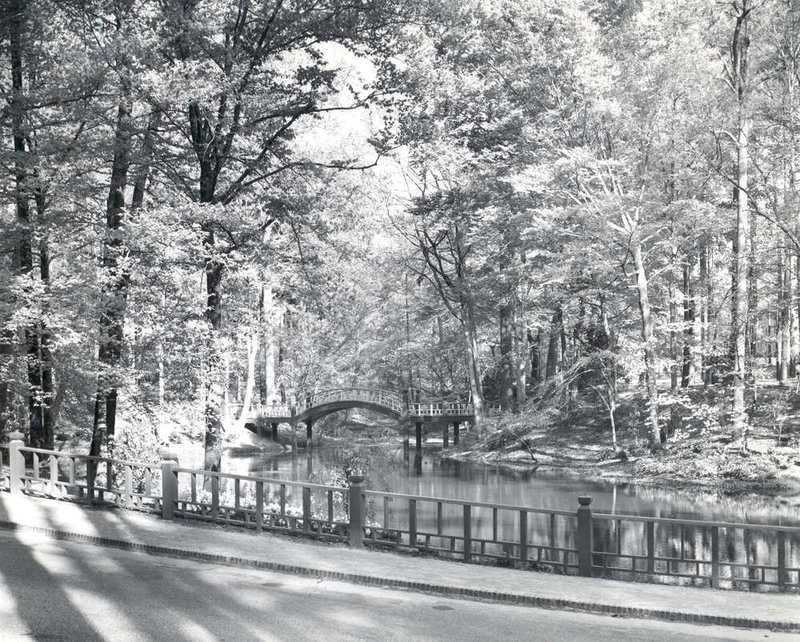 The wooded pond is a favorite spot on campus for many, and most iconically for its bridge. The Crim Dell was dedicated on May 7, 1966, and was named for John W.H. Crim, class of 1901. 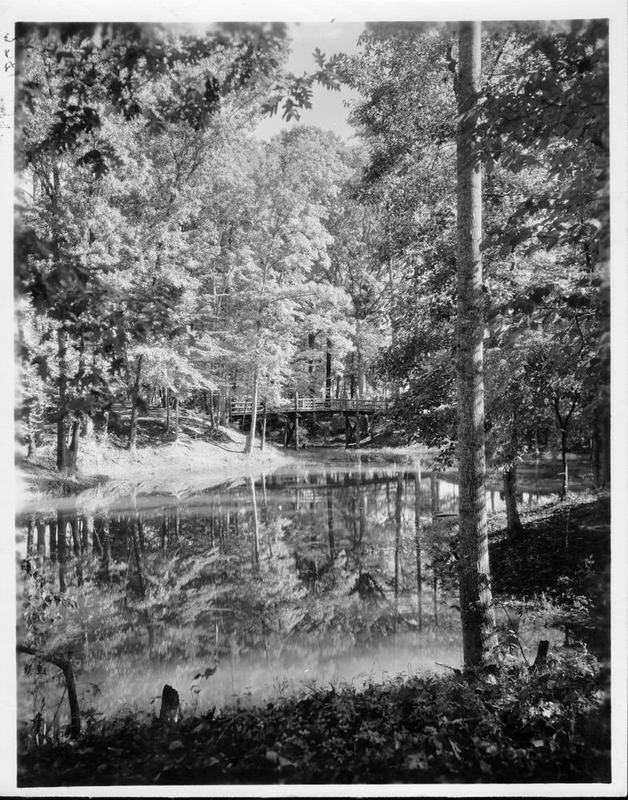 On October 20, 1934, Matoaka Park (the area that is now the Crim Dell), officially opened during the inauguration of John Stewart Bryan as the 19th President of William & Mary. At this time, Matoaka Park was a space adjoining campus. As a result of the 1959 Student Pond Project, the pond was expanded by the students. In 1965, the Crim Dell Bridge, built in a Chinese style, was constructed over the lily pond. The Wildflower Refuge Amphitheater was built across the road from the Crim Dell in 1979. According to legend, if you walk across the bridge by yourself, you are destined to be alone, never to fall in love for the rest of your life. If you walk across the bridge with a significant other and share a kiss in the middle of the bridge, you are destined to be together forever. However, if the relationship does not work out, you both must return to the top of this bridge and the woman must break the spell by throwing the man off the bridge into the water. 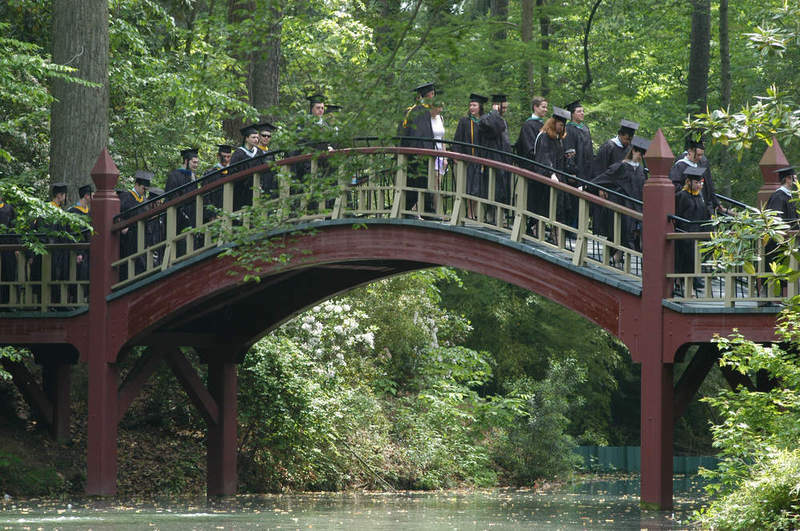 Additionally, all students walk across the Crim Dell Bridge with their entire graduating class as part of the Commencement walk at William & Mary. 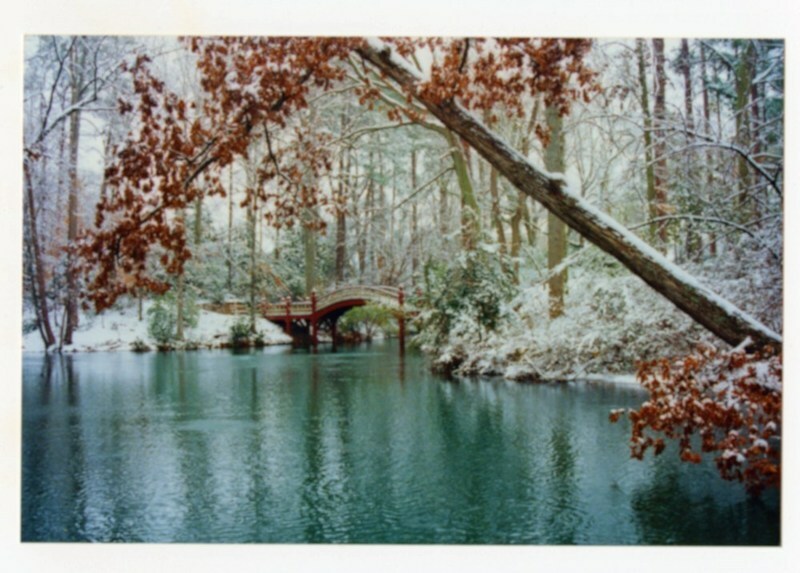 Crim Dell Bridge in snow, 2000: Image of the Crim Dell Bridge in the snow on January 21, 2000. ~ Source: University Archives Photograph Collection, UA 8. ~ Creator: College of William and Mary. Matoaka Woods, now known as Crim Dell, circa 1935: The Crim Dell circa 1935, when it was known as Matoaka Woods. ~ Source: University Archives Photograph Collection, UA 8. ~ Creator: College of William and Mary. 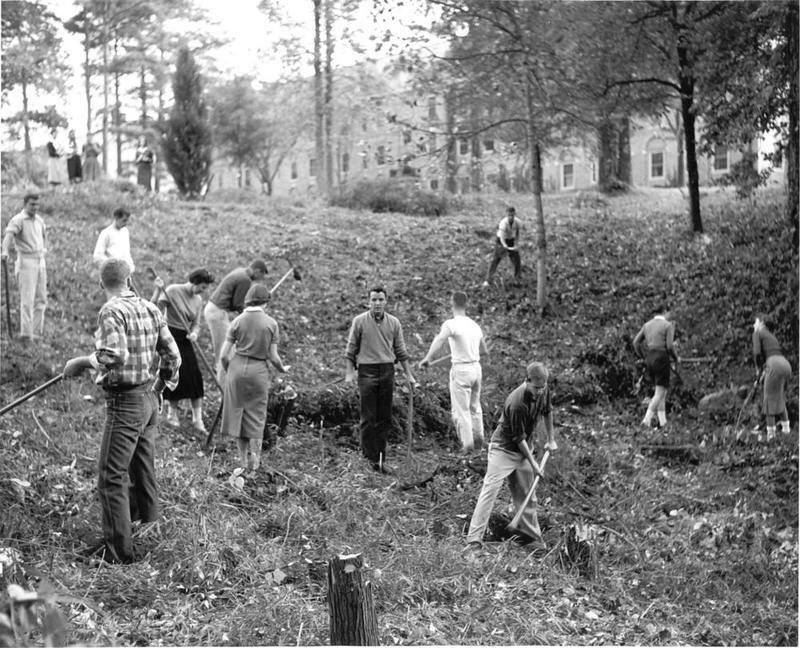 Students digging Crim Dell, 1959: Students digging the Crim Dell in 1959. ~ Source: University Archives Photograph Collection, UA 8. ~ Creator: College of William and Mary. 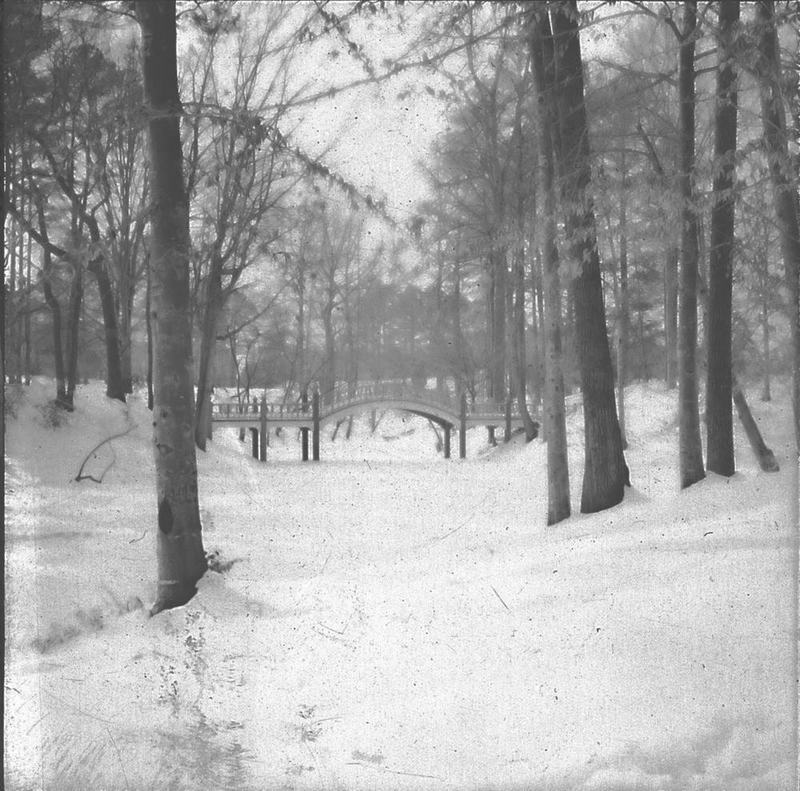 Crim Dell Bridge, undated: An undated photograph of the Crim Dell Bridge in the snow. ~ Source: University Archives Photograph Collection, UA 8. ~ Creator: College of William and Mary. Crim Dell Bridge, undated: An undated image of the Crim Dell, featuring the Crim Dell Bridge. ~ Source: University Archives Photograph Collection, UA 8. ~ Creator: College of William and Mary. Crim Dell Bridge under construction, circa 1986.: An image, circa 1986, of the Crim Dell Bridge under construction. ~ Source: University Archives Photograph Collection, UA 8. ~ Creator: College of William and Mary. 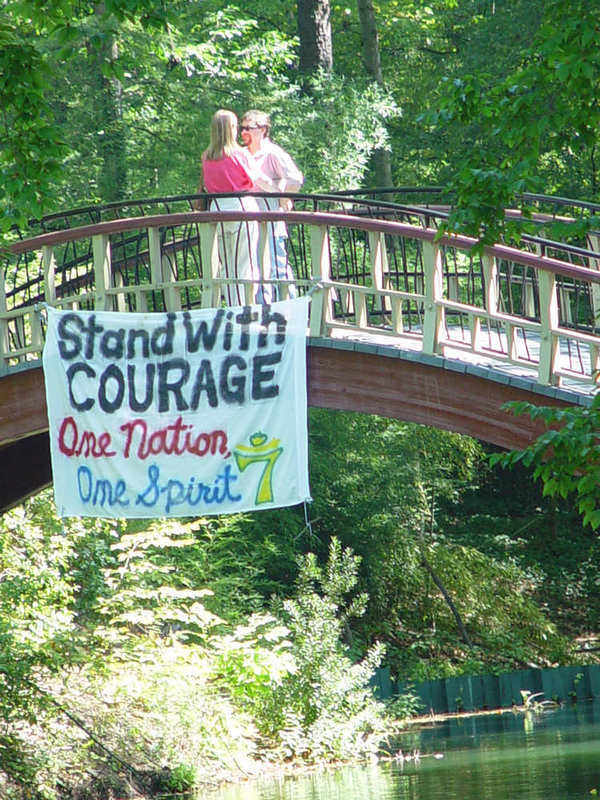 9/11 banner hanging from Crim Dell Bridge: A 9/11 banner hung from Crim Dell Bridge by the 7 society that reads "Stand with courage, One nation, One spirit" ~ Source: University Archives Photograph Collection, UA 8. ~ Creator: College of William and Mary. Crim Dell Bridge during Commencement, 2003 : Graduates walking over the Crim Dell Bridge during Commencement in 2003, a tradition that takes place every year. ~ Source: University Archives Photograph Collection, UA 8. ~ Creator: College of William and Mary. 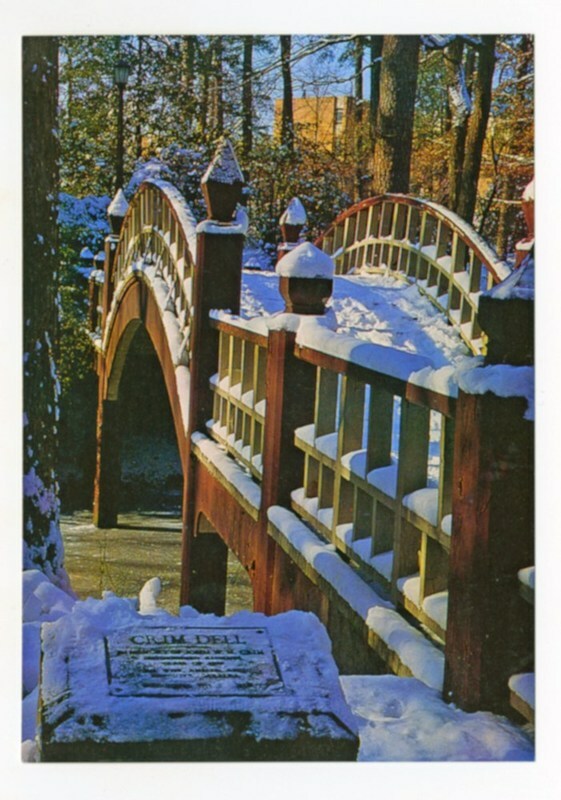 Crim Dell Bridge, undated: An undated image of the Crim Dell Bridge in snow, featuring its plaque. ~ Source: University Archives Photograph Collection, UA 8. ~ Creator: College of William and Mary. 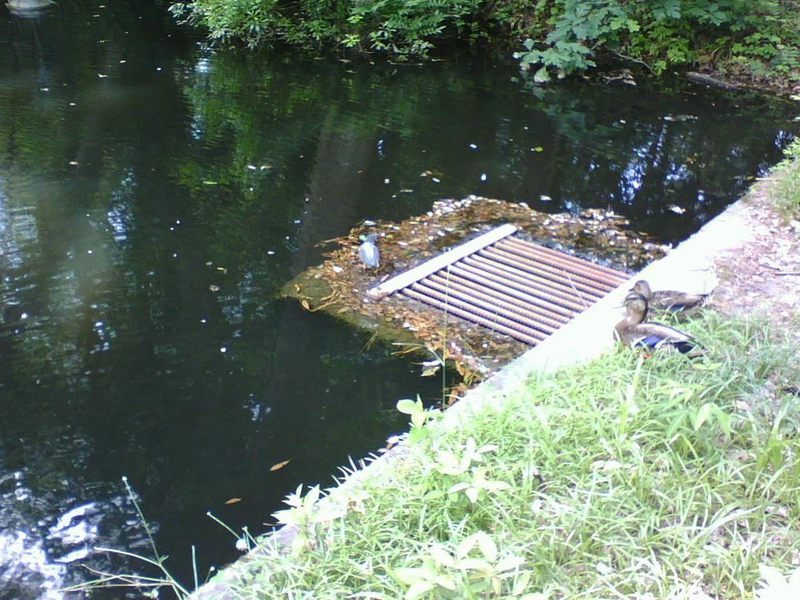 Ducks near Crim Dell, 2012: A photo of ducks swimming in the Crim Dell Pond in 2012. ~ Source: Courtesy of Mack Lundy. 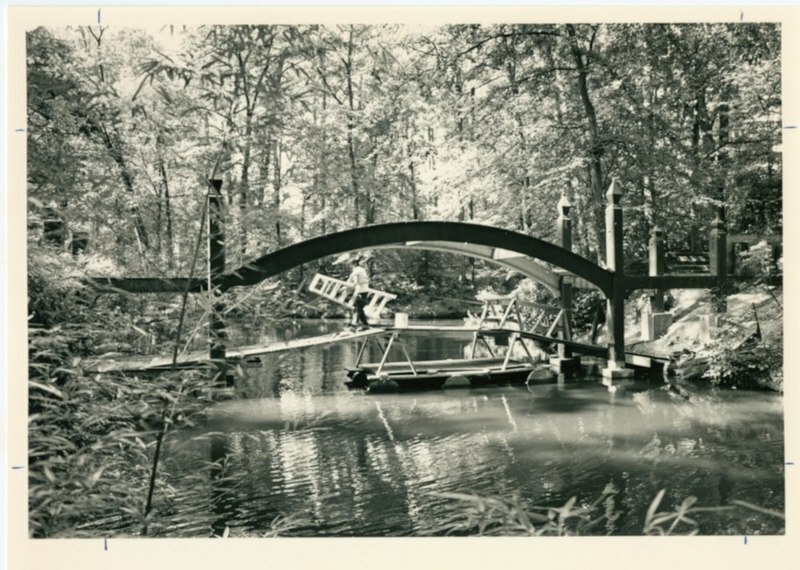 Special Collections Research Center, Swem Library, College of William and Mary., “Crim Dell, Dedicated 1966,” TribeTrek, accessed April 26, 2019, https://tribetrek.wm.edu/items/show/19.